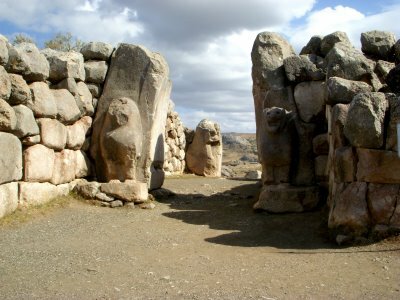 Hattusa—The Capital of the Hittites. Hattusa is the location and ruins of the Capital city of the Hittite Kingdom dating back to 1400 BCE, although the first settlement began around 1900 BCE. 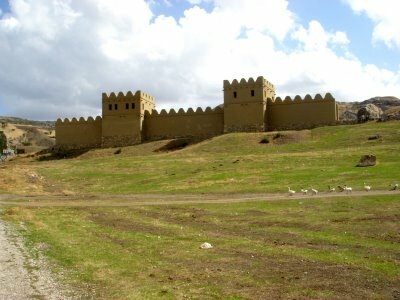 In 1200 BCE, the Hittite kingdom was reduced because the arrival of the Iron Age. The people of the Aegean Sea called the Phrygians inhabited the land. 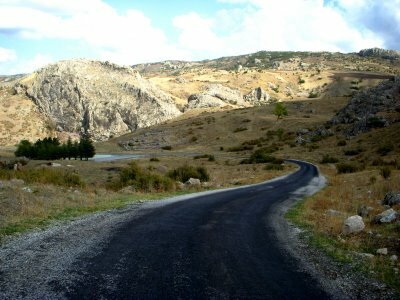 Hattusa is an amazing area and an ideal place for a capital city. The city was built on a hill with fortified battlement walls with an upper city and a lower city. The area claimed many temples and the royal residence was surrounded by a wall, also. The most predominate entity was, of course, the storm god that the Hittites called Teshub. Teshub is the same entity as Aumn of Egypt, Bel of Palmyra, Aries of Greece, which all these names are other names for Baal of the Canaanites who the Israelites stumbled over, and the whole world is under the power of this wicked lower entity, along with his cohorts. 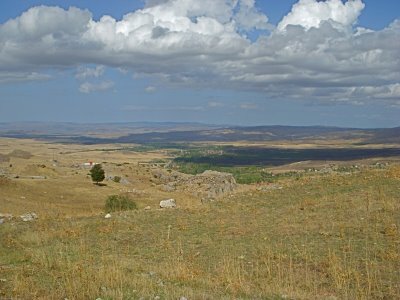 The site of Hattusas is strategically placed in a rocky terrain at the expanse of a broad and fertile valley. 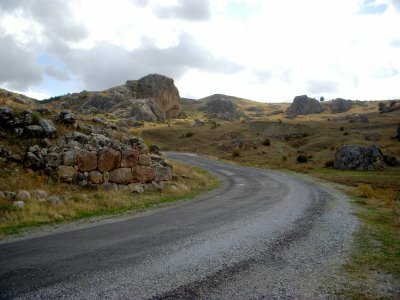 The road that circles the site is 6 kilometers. I decided to walk the whole area, the walk proved to be a slight challenge, most people drive, although once you’re the top the slight struggle is worth the climb. Hattusha has been declared a World Heritage Site by UNESCO. An enlarged copy of a cuneiform tablet found in Hattusa hangs in the United Nations building in New York. This tablet is a peace treaty concluded between the Hittite king Hattusili III and the Egyptian pharaoh Ramses II about 3260 years ago that resulted from the battle at Kadish, demonstrating to modern statesmen that international treaties are a tradition going back to the earliest civilizations. At the very top of the climb where the fortified wall was built exists a tunnel. 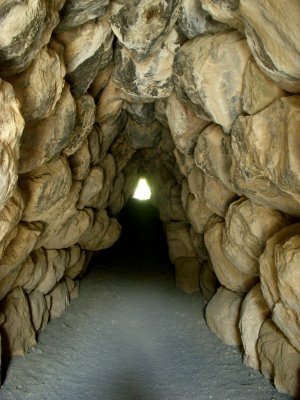 A 70 meter tunnel that travels through the wall that is built of stone, although the Hittites use a corbelled arch—two flat faces of stones leaning towards one another. 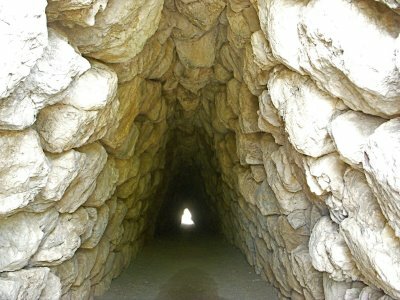 The tunnel has survived thousand of years, an incredible type of construction. The view from the top of the hill. I will be heading to Cappadocia tomorrow. Previous post: Riding on the Dolmus.